Control your professional fee costs! Complete and submit the information form on the right for details and your fee quote. 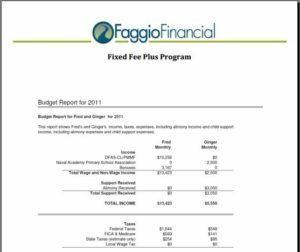 Faggio Financial’s mission is to bring financial clarity to your divorce. We want to deliver our service in a cost-effective and expedient manner.